We are offering Carding Machine Wire to our clients. we are manufacturing jacquard healdwires for all types of weaving loom and needle looms. 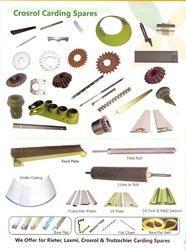 We are engaged in manufacturing a vast range of carding spares. It is manufactured from finest quality raw material in different dimensions for various machines used in textile industry. Precision engineered at par with international industry quality standards, this range is offered at industry leading prices. Carding Spares for Rieter Carding C-4, C-4A, C-10, C-50, C-51. All types of carding spare s available based on the catalog number. These are fabricated from high grade of material and pure raw material by using advance machines by help of our team of our expertise. These products are durable and reliable. These are available as per requirement of clients at reasonable market prices. 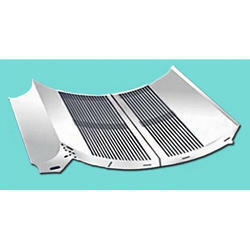 WE ARE LEADING MANUFACTURER IN INDIA. We offer our clients all type of Textile Carding Machines against catalog numbers and client specifications. These parts are tested on various parameters before supplying them to the clients. Moreover, we also offer customized solutions to our clients for their complete satisfaction.